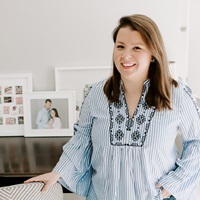 It feels so appropriate that my last blog post was a 41-week pregnancy update, and I’m jumping back in after two weeks off from blogging to share the news of our little family addition! 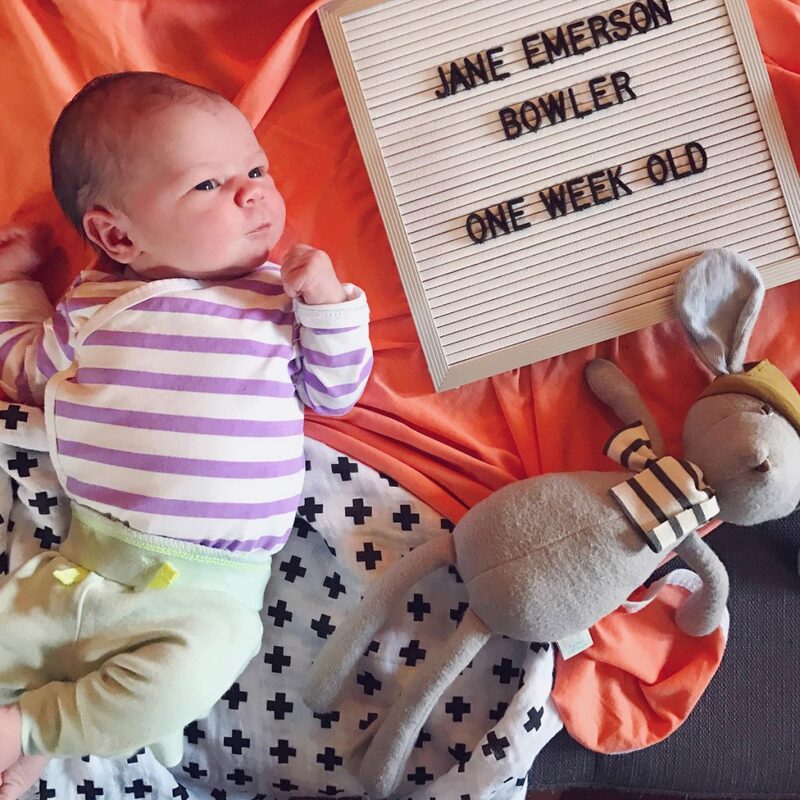 Jane Emerson Bowler was born on Friday, January 20th at 6:04pm after quite a few days of laboring, restless nights, doctor’s visits, and a surprise C-section for her grand finale! She is the absolute best 8 lb bundle of love that has ever existed (okay, I may be biased). 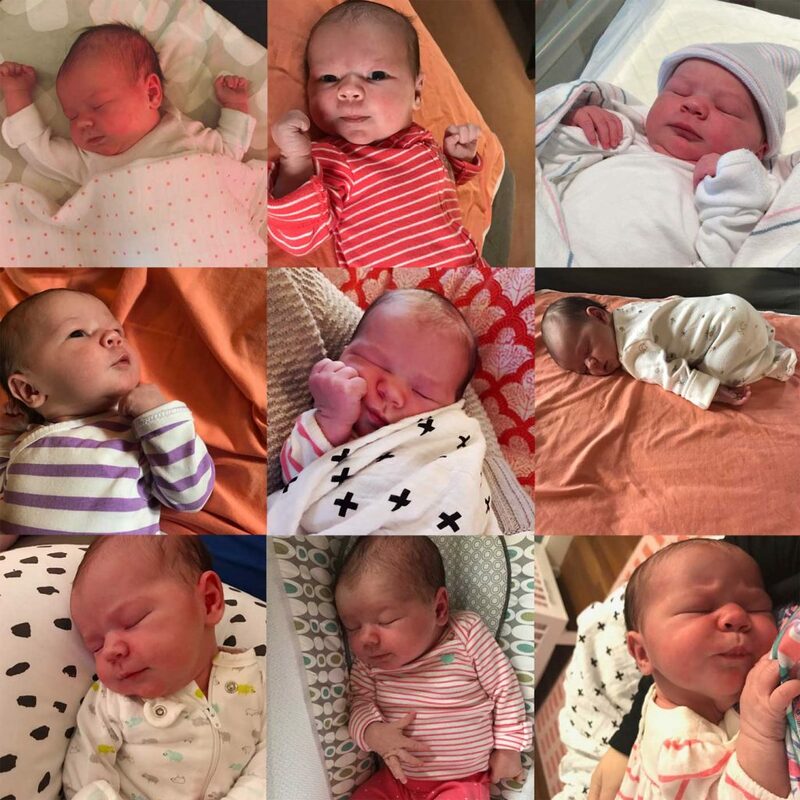 We have been learning our new “normal” over the past two weeks, getting in lots of snuggles and sniffs of that delicious newborn baby smell in between a few sleepless nights. I’ve got lots of big plans to share a full birth story, posts about what I packed in my hospital bag, and how we’re surviving these first few weeks. But for now, I’ll leave with you a few candid pictures from the selection of hundreds I’ve already taken on my iPhone! Welcome to the world Miss Jane! Bump Diaries: Week 41. Galentine’s Day. 8 Responses to "Welcome Jane." Well she is just the cutest!! Congrats on your sweet girl! She is precious. Glad to hear you and baby are doing fine. Welcome miss Jane!! And congrats, mama!! She is beautiful!! I hope you are feeling well and getting some rest, while you enjoy those precious snuggles!! What a beauty! And I know Jane’s Aunt Mara is so proud of her because she just told me so! I have worked with your sister in the past on a Disney World promotion and think the world of her. Your blog is beautiful – full of wonderful looking recipes – and now this little cherub to admire as well! I’m signing up to follow! Best wishes with this sweet baby – the joy of your life! Thanks so much for following Joyce!